: 577 р. 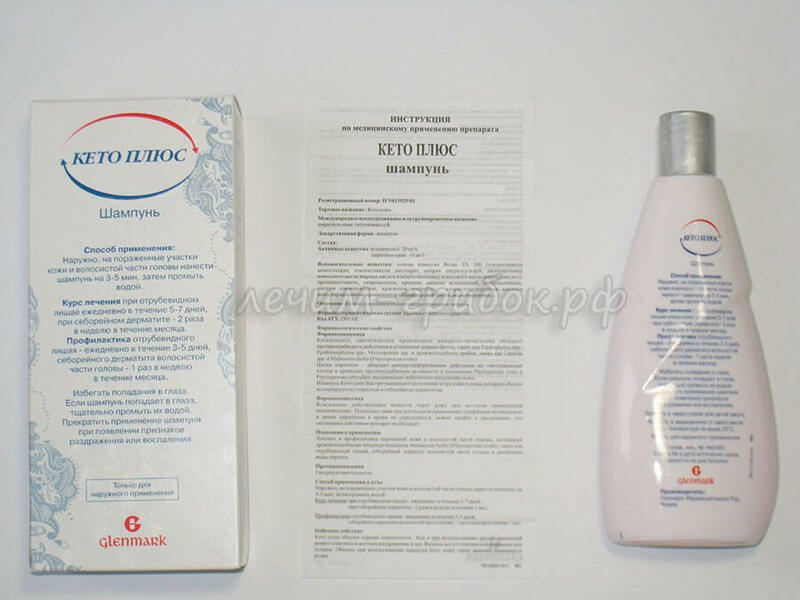 Average price online (60 ml) * : 577 p.
Dandruff is often a symptom of seborrheic dermatitis, in which case ketoconazole shampoo is just needed. Wash off the rest of the shampoo with water. Standard - hypersensitivity to ketoconazole or other components of the drug (see composition below). Keto Plus is transferred just like any non-medical shampoo. In rare cases, allergic reactions are possible, local irritation: itching, rash, dry or oily hair. 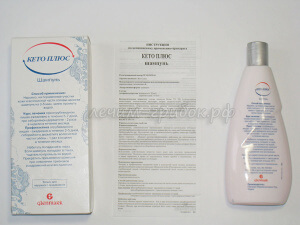 For hair subjected to chemical treatment does not exclude a color change. The occurrence of such symptoms indicates individual intolerance, in this case it is worth choosing another shampoo with ketoconazole . Ketoconazole is effective against dermatophytes (Epidermophyton spp., Microsporum spp., Trichophyton spp.) And yeast-like fungi (Candida spp., Malassezia furfur). 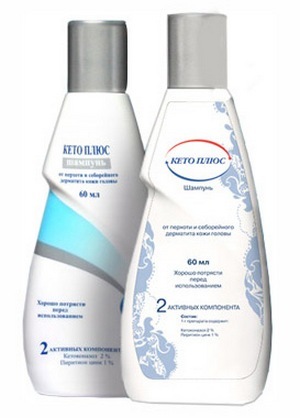 Pyrithione zinc exhibits antifungal activity against Pityrosporum ovale and Pityrosporum orbiculare, which can cause dandruff. 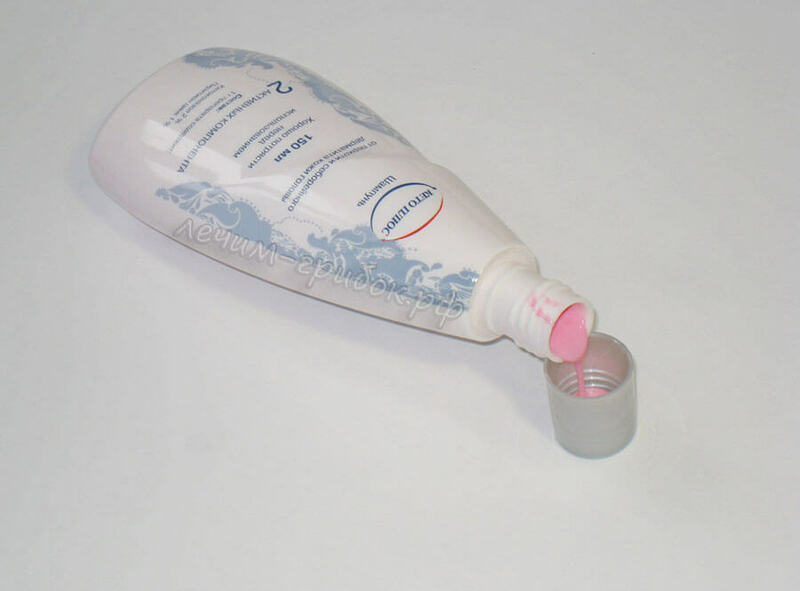 When applied topically, the absorption of ketoconazole and other components of the drug is very small. 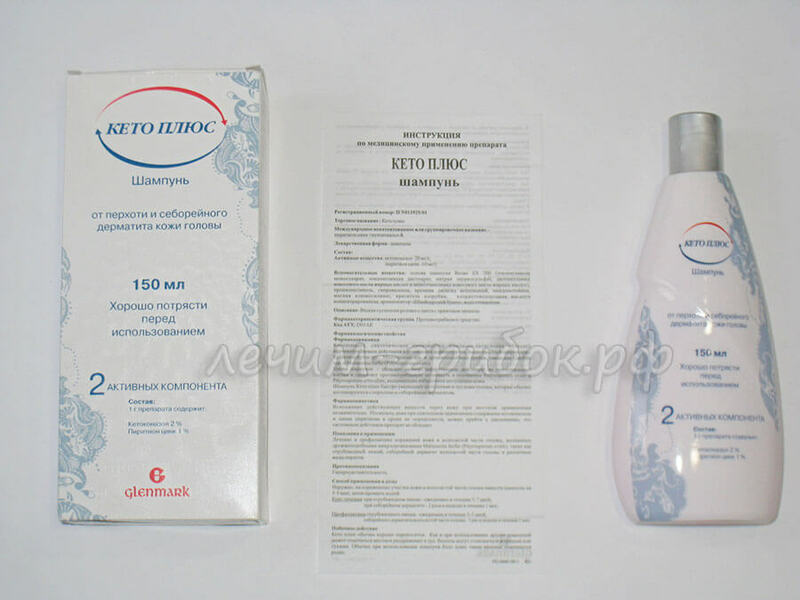 According to studies, even after long-term use of keto plus, the presence of ketoconazole and pyrithione in the blood cannot be determined. Avoid contact with eyes, in case of accidental contact - flush eyes with water. 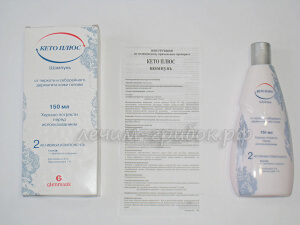 If treatment with glucocorticosteroids is used, it is necessary to wait 2-3 weeks after their cancellation before using keto plus. Sold without a prescription. Shelf life 2 years. Do not freeze, storage temperature should be no more than 25 ° C.